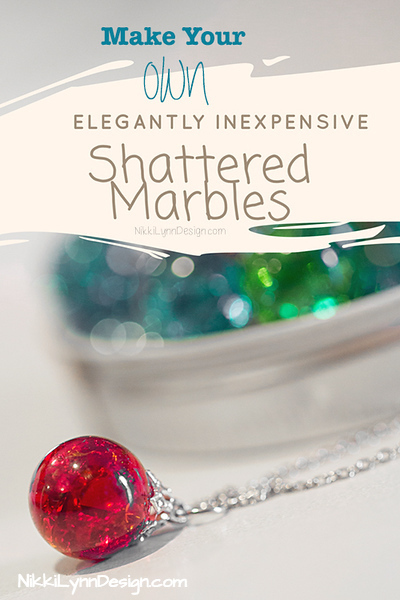 How to Make Fried Marble Necklaces these are inexpensive yet extremely elegant necklaces are made by baking and internally cracking ordinary marbles. Make up a few as gifts or for your next hot seller at a craft fair. Either way you will receive rave reviews and plenty of wonderful compliments. At my first craft show back in 2001 I own a fused glass business, I made up 100’s of necklaces to hang around the craft booth. What was only made to be an attention getter, quickly became my number one seller. It was my great grandmother that taught me how to make these necklaces. We used a cast iron pan in her home to create the necklaces. I just experimented until I achieved the same crackling look by using what I had on hand. 2.) In a medium size, metal bowl place 3 cups water and five ice cubes. For each batch of marbles that you fry be sure to replace the ice cubes. The marbles need to go from a fire, hot oven right into freezing, cold water in order to create the crackling effect. Bells caps. Glue them to the top of the marble to hold the jump ring. E6000 – Strong holding glue that will attach metal to glass. It isn’t waterproof but it seems to hold for years. I have necklaces that I made from vintage marbles 5 years ago and they are still holding strong. I don’t shower with them of course. If you are going to be making a good amount of necklaces – get this set. It will make your life easier. 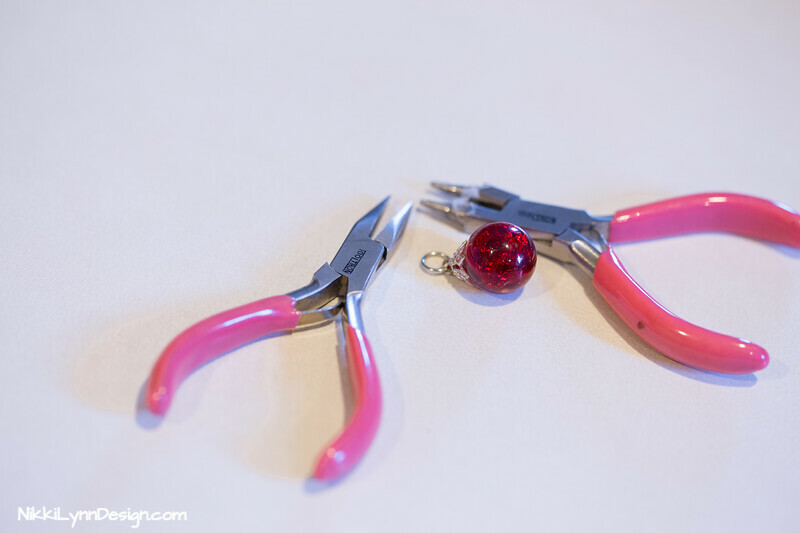 The mini pliers versions help you from having to struggle from grabbing too much of the jump rings. The jump ring size is a preference. I like a mid-sized ring. The tiny one are too darn small for my hands, eyes or to get a good grip on for my pliers. The mid sized ones seem to be perfect. 3.) Place marbles in a metal pie pan or muffin tin and place them in a 500 degree oven for 20 minutes to heat them thoroughly. There might be a few that will crack in half while you are heating them up. This is O.K. and perfectly normal. 4.) Remove the marbles from the oven after 20 minutes. Pour them directly from the pie pan into the ice cold water. Let them cool for about a minute. When you remove the marbles from the water you may find some have broken, if they do just throw them out. It’s the marbles that are in intact but have a crackling effect inside and out that you are going to use for the next step. 5.) Use E6000 glue to glue the bail onto the marble. Let the bail completely dry before adding the jump ring. See link above to purchase the bails. I searched far and wide for this vendor, she is the only one that carries them that I have found. 6.) Place the jump ring in your left hand pliers, holding the rings left side with the split side up. Take your pliers in your right hand and gently grasp the right hand side of the jump ring and push backwards to open it. 7.) Slip the bell cap hole in the split ring. Place the necklace inside of the opened split ring to. 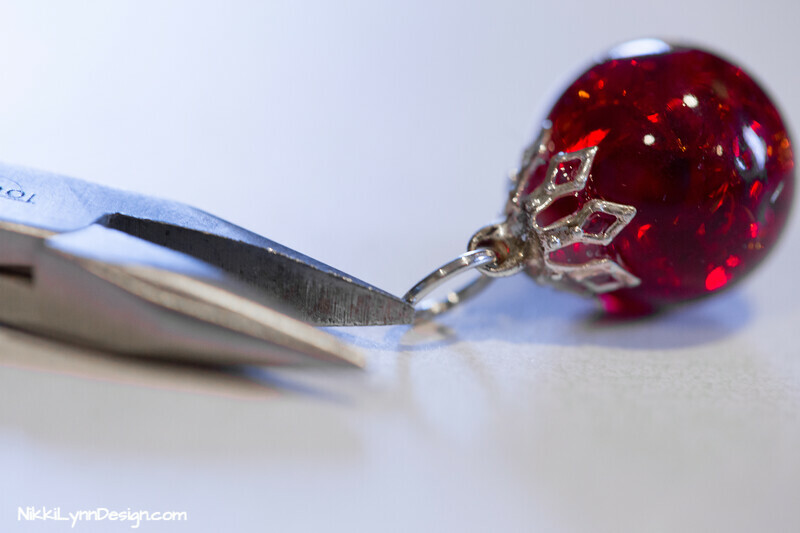 Be careful that the necklace does not go into the bell cap hole, just the split ring should be in the bell cap. Then use both sets of pliers, one on the right hand side of split and one on left hand of split to gently rock the ring back and forth, moving it closer to closing the split ring gap. As requested the video —-> CLICK HERE. You are welcome to mention me or link to my website but the information and pictures are copyrighted. I’ve just updated my pictures once AGAIN. Please do NOT post them on your websites, this go round I’ll charge you an image license fee – PROMISE. I am including this RSS to my email and can look out for much more of your respective fascinating content. Useful piece of information. Thank you for sharing. Have you thought about making a video on this? where do you get the marbles from? 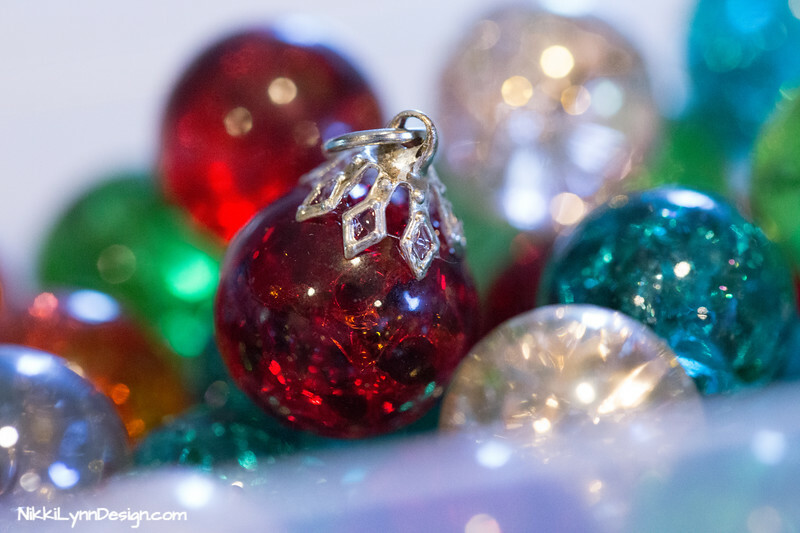 All I can find are plain clear ones or glass gems. 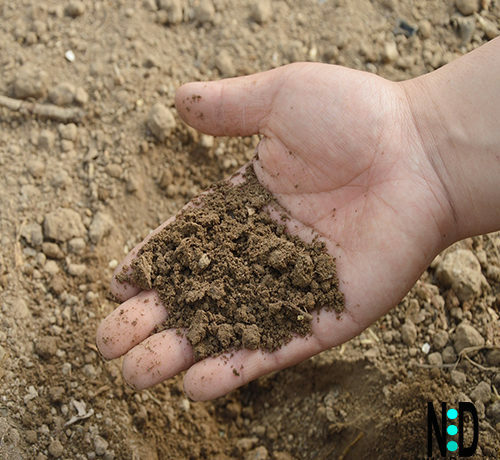 Monica, Please see the scrolling pictures below the posting. 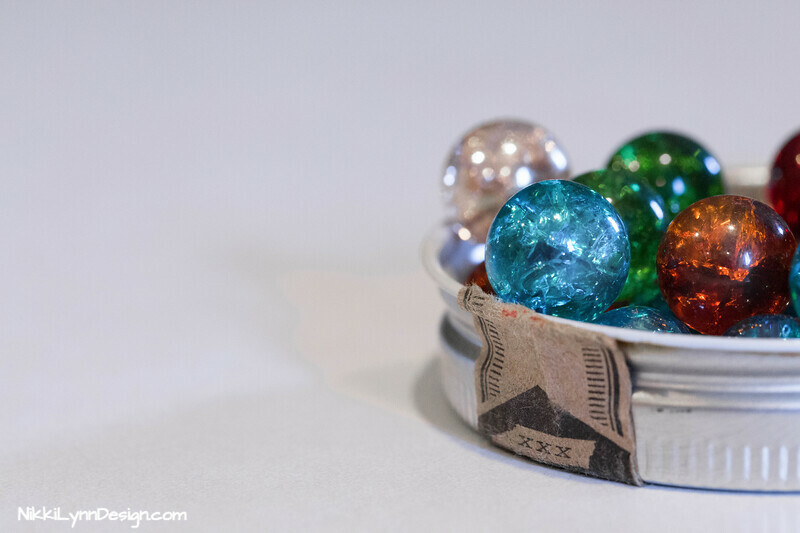 If you click on the marbles you will be brought right to the page. It is getting more difficult to find them in town. I have expanded to the internet for my outlets. Thanks for the details. I agree with another poster, I’d like to see a video too. Do you do any other colors? I would love to have a purple one, just don’t think I could pull it off myself. My mom had a crackle marble when i was little..i always wanted to see her jewelry box so i could look at it. I think she told me it was boiled,i am excited to show her this tutorial..thanks so much!! Thank you for bringing back to memory a joyful time. My grandmother taught me this when I was about 10 years old. Back then we just crackled marbles for fun. Now I can use them in my jewelry making. Thank you again. And I enjoyed your tutorial. Very easy to follow. Absolutely beautiful, now I have to raid the back shed to see if I have my childhood marbles in storage. One question, I don’t have a kiln, only a kitchen over that goes up to 250 degrees celsius. Will that still work???? To Jolene: Your oven will work just fine :). Just leave the marbles in the oven a little longer, so the core temp be heated properly, and be sure that you have ice cold water to plunge them into straight from the oven. Remember, you can repeat the process again if you do not get the results you want the first time. When do you glue the bail on to the marble? Before you connect the jump ring to it? I remember seeing marbles that were heated or I just saw them as a child, can’t quite remember. I would love to do this with my grandchildren. Thanks a lot of this info, that I had forgotten about. I love making all kinds of jewelry. Cheryl, I normally glue the bail on first and then add the jump ring after the bail is dry. This will keep the bail from sliding with the weight of the jump ring. Once the bail is set, you will not have that problem. What kind of glue or epoxy do you use to attach the marble to the bell cap? Allie, I use E6000 glue because it holds to glass. It can be found at any discount or craft store. I love these. I have made some just for myself but I can never find the color marbles I want. 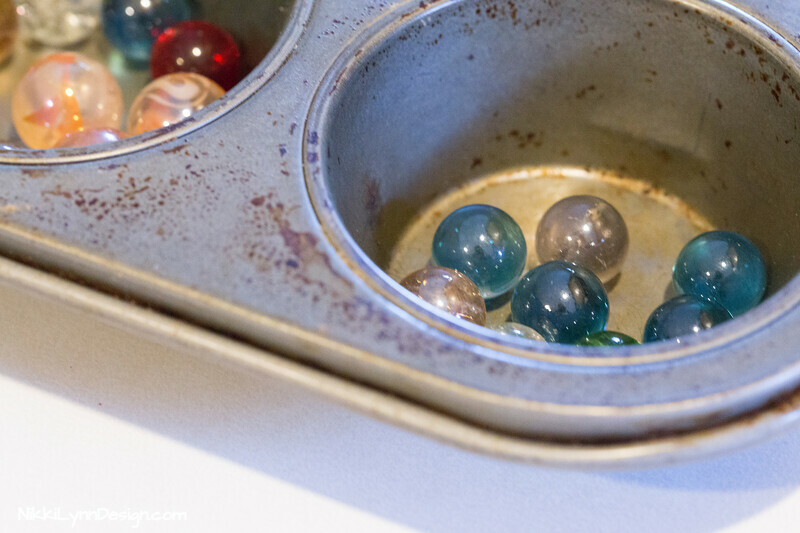 Where could I find more different colored marbles? Me again, did it, it worked brilliantly, no breakages. On;y one problem, I got some dark scorch marks on a couple of marbles. Would baking paper or alfoil (I guess thats’s alumininum foil to you guys!) prevent this? Sent you an email. Check your inbox. I currently purchase all my marbles from a local craft store. It is not a chain store. What size bead cap do you use??? You can use any of the ones that are listed in the 2nd set of scrolling pictures located in the article. You don’t have to purchase them from here but that is a good supplier and the only one I know of right now. I have been looking everywhere for the bail caps… Any clue where I can find some? Ah man, thank you so much for supplying a link to bail caps. I’ve been trying to locate some forever… for this very project. I love all your high-grade content how to dos. This made a cheap but appeciated gift to many of my family members. Please see the scrolling picture box on the bottom of the tutorial. The small siver pieces are the bell caps and if you click on the picture it will bring you to a supplier. I don’t carry them. Hi, will this work for round glass beads as well or does the hole through it make it too weak to withstand the temperatures without breaking? Also, what sizes of marbles will this work for, i.e. will it work on the large player size marbles (16mm)? Thanks very much for posting this, I have a tendency to injur myself when I experiment so I thought I’d ask these questions. 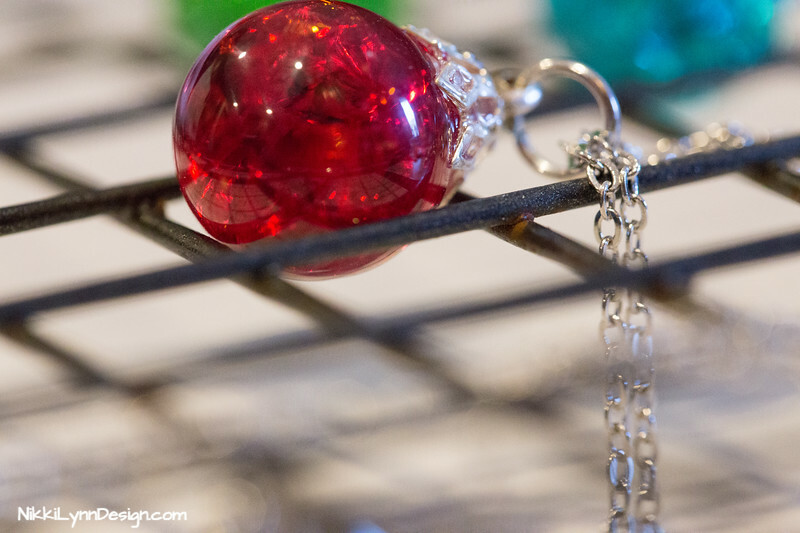 Shelly, I have tried this method with round glass beads with a hole in the middle. Most split in half. The ones that make it through the process, I kept for 5 months. Almost every one of the beads ended up breaking in half or crackling. I use 8-10 mm marbles when I make my necklaces. The marbles that do not crack during the process, have not cracked afterword. I have not done used any marble past 10mm. I would believe 16mm marbles would work. Just remember you might need to leave the marbles in the oven a little longer because of the extra size. If you do not get the crackling effect you want after cooling in ice water put them back in the hot oven, straight from the ice water. They should crackle within the first minute. If that happens and you get the effect you want, do not place them back into the ice water. I suggest using the scrolling picture box at the bottom of the blog post. 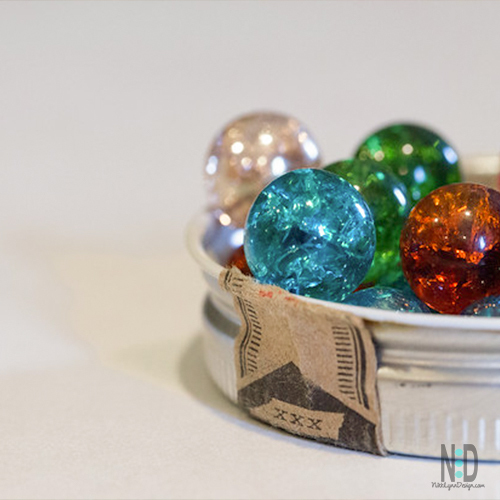 The pictures of the marbles can be shipped direct to your home. Plenty of colors to chose from. In the scrolling picture box on the page, right under the directions….click on the picture of the marbles. It will bring you to an online source. I found some plain coloured marbles after a lot of searching, but sadly they are all a dark blue which doesn’t turn out as well. I suggest using lighter colours instead. These are beautiful, Nikki! Have you tried using fishing line to give it a “floating” effect? I think that would be quite lovely. I used to buy “floating” diamonds and wear them (not real diamonds, of course), and they are really pretty; especially when you have a tan. I’d like to have some of these, but with the “invisible” chain. Thanks! I have never tried it with a hole in the bead to tell you the truth. I would “think” it would make the bead hole too weak.